Graduation is such a happy day! Make sure your grads and guests celebrate it together. Plan your grad bash or open house with the Graduation Diploma Invitation. Graced with a photo of joyous graduates showing off their freshly earned degrees, this invite will have everyone smiling. 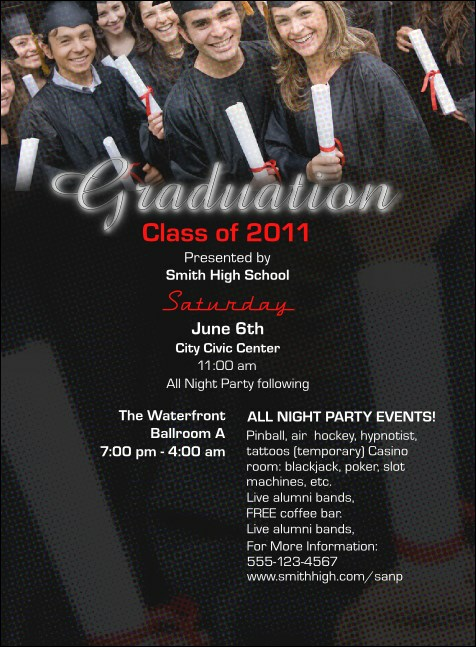 Check out the other graduation designs in the gallery at TicketPrinting.com.